If you’re looking for someone who will ALWAYS take your call, just find a Gemini. 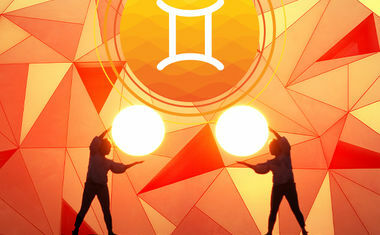 Ruled by Mercury, the planet of communication, Gemini is often depicted as Twins -- who are always on the go. Intelligent, curious and bored easily ... this inquisitive sign knows how to keep things interesting. 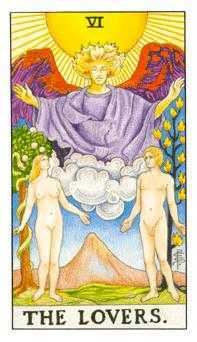 The Lovers card represents having two strong options. Two people, two choices, two sides, etc. Adam and Eve here symbolize that duality and are two halves of a greater whole. The Man’s gaze is going forward as he represents physical presence. The woman is looking upward, representing an intuitive presence. With the combined forces of body and mind, they create one whole. This brings us back to the Gemini twins who are actually NOT identical twins but two sides of the same person! The Angel is a messenger of love and brings guidance from the heavens to help the man and woman. Similarly, Gemini rules the 3rd House of communication, information and messages. 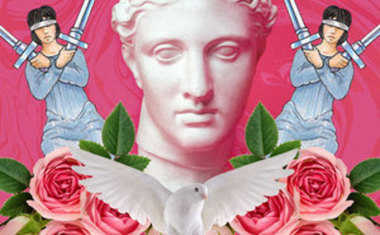 The cloud and the angel’s wings symbolize air, which is the ruling element of Gemini. The woman is standing in front of the Tree of Knowledge while the man stands in front of the Tree of Life. This reinforces the idea of two halves, two sides to a situation, and the need to understand them both in order to inform your life decisions. see if this card turns up for you in a FREE 3-card Tarot reading Celtic Cross Tarot Reading !